If you require voicemail at network level, then MyPbx can capture your message and then email the wav. file directly to an email address of your choice. 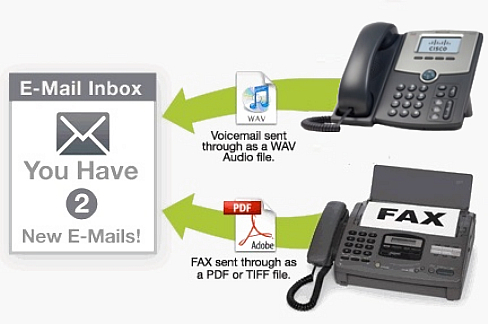 If you receive lots of faxes then MyPbx can convert them to a PDF and send them directly to an email address of your choice.